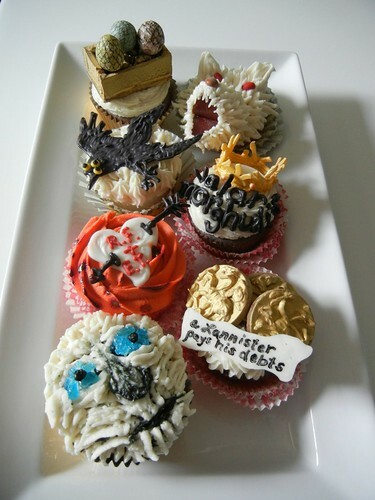 The season finale was two weeks ago, but here are some awesome "Game of Thrones" cupcakes. I am a huge fan of the show and watched every episode this season. No, I didn't read the books by George R. R. Martin, but the show is thrilling once you sort out all the characters. Sugar Swings made these cupcakes.